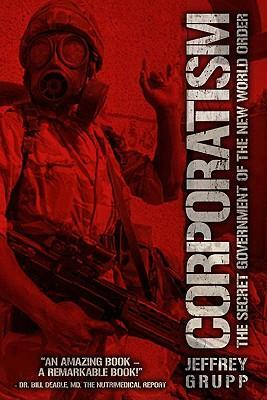 Steve McHenry Voice-Overs: This Saturday On The Bruce Collins Show - Guest: Jeffrey Grupp, Author of "Corporatism"
This Saturday On The Bruce Collins Show - Guest: Jeffrey Grupp, Author of "Corporatism"
Jeffrey Grupp currently resides in West Lafayette, IN. He has a masters degree in philosophy from Western Michigan University and an undergrad degree from U. of New Mexico. He was working for his PHD in philosophy at Purdue U. when he decided it was not the right track for him and he therefore left the program and consequently published three books: CORPORATISM: THE SECRET GOVERNMENT OF THE NEW WORLD ORDER , TELEMENTATION: COSMIC FEELING AND THE LAW OF ATTRACTION , & THE TELESCREEN: AN EMPIRICAL STUDY OF THE DESTRUCTION OF CONSCIOUSNESS IN AMERICA , all of which were published by Progressive Press. He has also made a documentary film called THE ILLUMINATI ARE THE NEPHILIM . Why is Corporatism ignored by Americans? Why does Jeffrey have a soldier on the cover of a book about Corporatism? What is the P-R-S thesis? Why does Jeffrey say that America is a Communist nation? Jeffrey explains his belief that pervasive medicating will be at the heart of the religion of The New World Order. Grupp talks about his views on brainwashing in the media, particularly the events of 9/11. How is terror and destruction used by the Corporatists? Can this supernatural evil structure be uprooted? What properties are being sprayed in chemtrails?